Recent literature reported the adverse effects of high-fat diet (HFD) on animal’s emotional and cognitive function. An HFD-induced obesity/hyperlipidemia is accompanied by hormonal and neurochemical changes that can lead to depression. The important roles of gut-derived serotonin (5-Hydroxytryptamine, 5-HT) during this processing have been increasingly focused. Hence, to determine the potential role of gut-derived serotonin, HFD model was established in C57BL/6 mice. At the 4th week of feeding, a pharmacologic inhibitor of gut-derived 5-HT synthesis LP533401 (12.5 mg/kg/day), simvastatin (SIM) (5 mg/kg/day) and benzafibrate (BZ) (75 mg/kg/day) were administered for two weeks by oral gavage. Then, intraperitoneal glucose tolerance test (IPGTT), open field test (OFT), tail suspension test (TST), forced swim test (FST), sucrose preference test (SPT) were used to evaluate metabolic and neurobehavioral performances. Immunohistochemical staining, real-time quantitative PCR and other methods were to explore possible mechanisms. 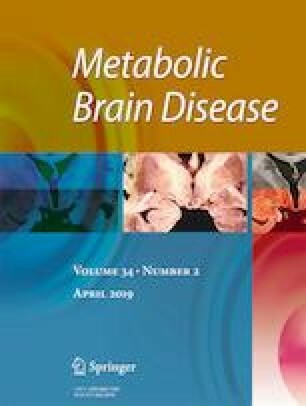 It was found that HFD feeding and drug treatments had some significant effects on neurobehaviors and brain: (1) All administrations reduced the total cholesterol (TC) and triglyceride (TG) parametric abnormality caused by HFD. LP533401 and SIM could significantly improve the impaired glucose tolerance, while BZ had no significant effect. (2) LP533401, SIM and BZ alleviated depression-like behavior of HFD mice in OFT, TST, FST and SPT. (3) LP533401 and SIM reversed the inhibition of Tryptophan Hydroxylase 2, Tph2 gene expression and the activation of Indoleamine 2,3-dioxy-Genase, IDO expression in HFD-treated brain, whereas BZ did not. (4) LP533401, SIM and BZ restored the inhibitory expression of 5-HT1A receptor in HFD hippocampus. Conclusions: Selective inhibition of intestinal 5-HT can attenuate depressive-like behavior, reduce 5-HT1AR impairment in hippocampus and correct abnormal 5-HT pathway in brain while ameliorating HFD-induced glucose intolerance. Further experiments are warranted to define the adequate strategy of targeting peripheral 5-HT for the treatment of such co-morbidity. This study was supported by One Hundred Person Project of The Chinese Academy of Sciences, Applied Basic Research Programs of Qinghai Province (Y229461211); Science and Technology Plan Projects in Xinjiang (2014AB043); 2017 CMA-L’OREAL China Skin/Hair Grant (No.S2017140917); Prospective Joint Research Project of Jiangsu Province (BY2016078-02); The Open Project of State Key Laboratory of Natural Medicines (No. 3144060130); The National Natural Science Foundation of China (No. 81874331) and Science and Technology Plan Projects in Qinghai Province (2015-ZJ-733). The authors have declared that there are no conflicts of interest.